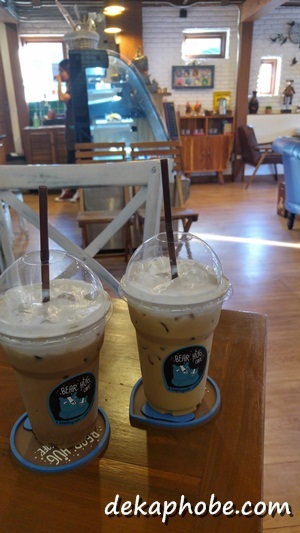 We were able to try their iced coffees, Iced Mocha (60 Baht or Php 79) for the boyfie and Iced Latte (55 Baht or Php 73) for me. 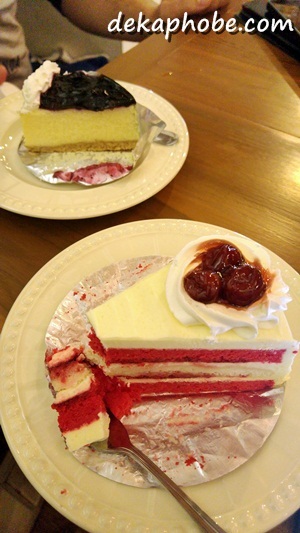 We also had Fries and a few desserts, Red Velvet Cake and Blueberry Cheesecake while reading. 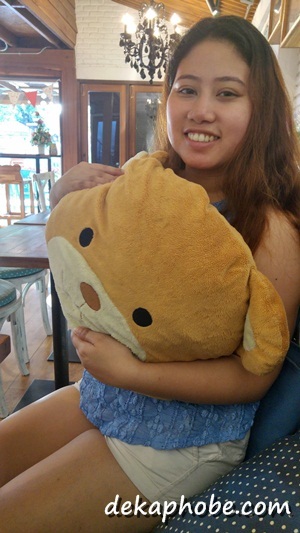 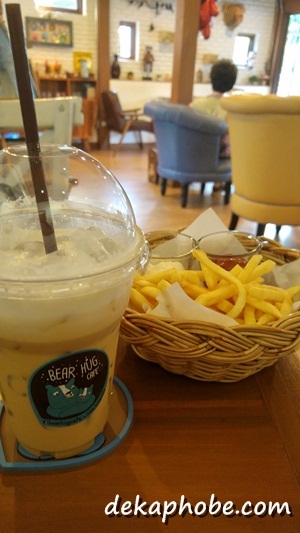 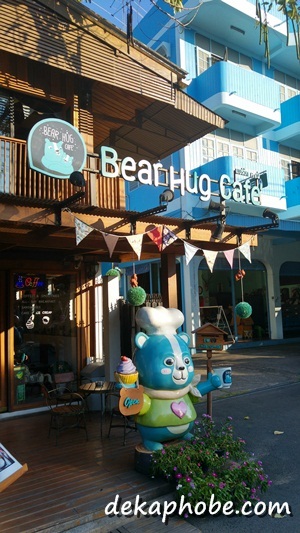 We had a lovely time in Bear Hug Cafe. 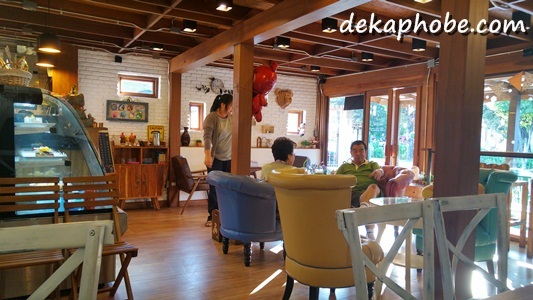 The staff was very accommodating, including the owner, who entertained us later that day. 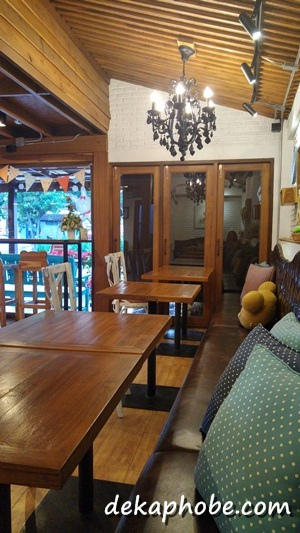 I wish they'll extend their store hours until dinner time though.